Note to visitors: If you want your homepage posted here, e-mail the link to me. Schematics on the Web (Tons of great electronics schematics. This link was found by fellow member Gary Croll. E-Machine Shop Free cad software and quotes for parts YOU design!! Tons of schematics - This is a place I cant find a category for, many great links here! RobotProjects.com - The name says it all. Techgeek.com - A new robotics community. Bots - Another place to find robot plans. Robot Cafe - An organized list if links and resources! 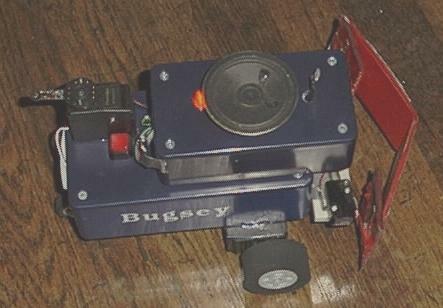 Robot Roll Call - Great list of robot projects on the net! Dennis Stilwell's Robot and Neural Net Page! Bill's Robots and info on old robots like Hero1. Wires and Circuits club of Yahoo! Basic Stamps Club of Yahoo! Artificial Intelligence Group of Yahoo! The Basic Stamps club of Yahoo! - To subscribe -or- unsubscribe to the new official Basic Stamps e-mail list on e-groups click here.